Palate: A complex finish that goes on and on in the mouth. A Hors d’Age Cognac of this quality is certainly worth the wait. Biding its time in oak barrels and developing a fabulous complexity for which many Grande Champagne Cognacs are famous, the Charpentron Hors d’Age No 35 Cognac is a fine spirit aged for decades. The lengthy ageing process is key to creating such a fine blend. The tannins of the French oak casks are the key to its woody aroma. The Grande Champagne terroir is known as the Premier Cru, and for good reason. Thanks to millions of years of fossilization and the maritime climate, the soil is particularly chalky with a limestone sublayer. The result is a very fine Cognac, thanks to the easy drainage and optimal exposure to the sun. 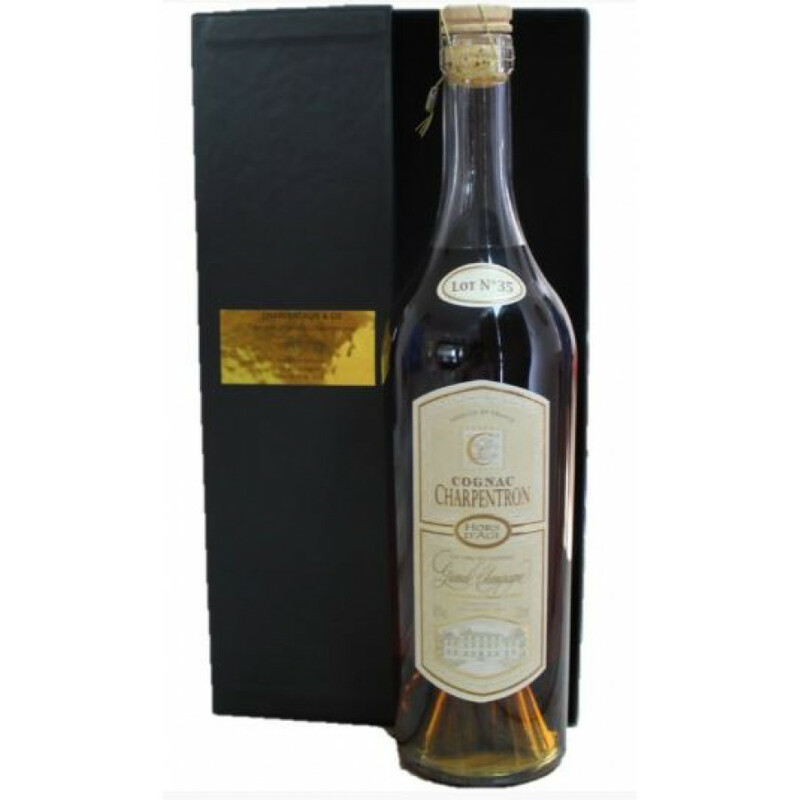 Enjoy this very old Cognac neat to experience its maturity. The Hors d’Age Cognac arrives in a classic decanter and a wonderful presentation box. It is bottled at 40.2% ABV. Located at the Domaine Clos de Merienne in the Grande Champagne, the family have been passing down their savoir-faire for more than 10 generations. Now it is home to 75 acres of vines growing across the undulating hills of the region. They have been farming since 1764, and now produce other spirits, too.